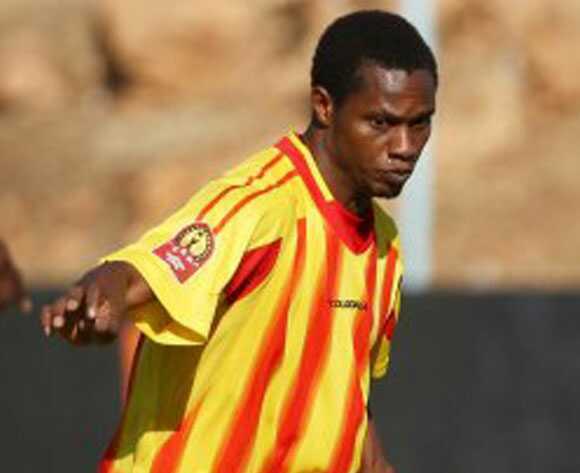 El Merreikh striker, Kelechi Osunwa has told Naijafootball247.com that he won’t mind a goal against Rivers United on Sunday in the CAF Champions League. Osunwa returns to Port Harcourt, a ground where he strutted his stuff for Dolphins FC between 2002 to 2005 and says he wants to leave something for his fans at home. His Sudanese side, El Merreikh take on Rivers United, a place in the group stage of the CAF Champions League on offer and Osunwa relishes the opportunity to return home. “It will be a great experience for me to play home away from home after twelve years. “I will indeed be returning to the ground and club I started by professional career and I am looking forward to the game,” Osunwa said. He does not mind scoring in Port Harcourt even though that may disappoint the Port Harcourt faithful who stood by him why he played for Dolphins. “It is football and it is a professional game and right now I have my employers and will play my game to suit my current bosses, but for the fans it will be good to unite with them once more. “It is just a normal game and ninety minutes will tell the result. The people in Port Harcourt are my brothers and I am happy to be back,” he said. In four seasons Osunwa played for Dolphins he was top scorer in 2002 and 2005 while in 2004 he was joint top scorer with Victor Ezeji and Bola Bello. In 2005 he scored ten goals on the continent as Dolphins played in the final of the CAF Confederation Cup. 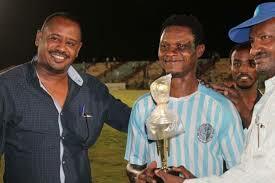 He remembers his goal against Arab Contractors that gave Dolphins a 2-1 win in Port Harcourt as his most memorable. “It is a goal I will not forget. I had traveled abroad and just returned on the day of the match. In fact I got to the stadium just fifteen minutes to kick off and scored that goal. A lot will be expected from Osunwa who is still the most prolific striker that ever featured for Dolphins FC; top scorer in the African qualifiers for the 2001 U17 World Cup and now record goal scorer in the Sudanese League. However, he told Naijafootball247.com that he is not fazed by the fans expectations of him. “How can I have pressure? It is even a thing of joy for me to come to Port Harcourt. Dolphins was a club I always had in my heart and even Rivers United is one I love too. Osunwa insists he will not stick his neck out on what the final result will be because in football games, anything can happen. Last year while playing for Al Ahly Shendi, he not just equaled the goals records of 33 in the Sudanese league, he set a new one of 38 goals that included five hattricks, six braces and seven Man of the Match awards. At the end of the 2016 season, Osunwa had scored a total of 142 goals in the Sudanese League. He is also the record scorer in Arab Leagues with his 38 goals for last season.